I am about to work on a project and will (unfortunately!) not be able to blog again until October 3rd. 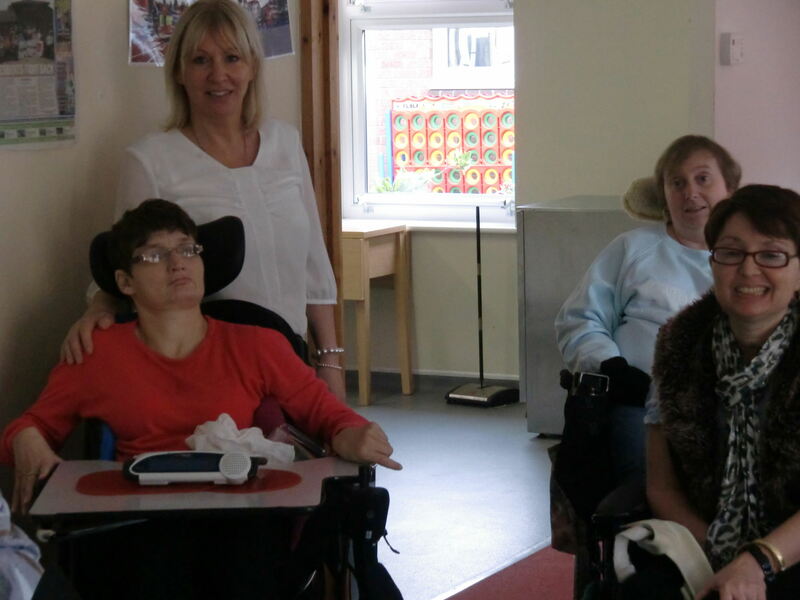 Today I visited Agate House which is a Leonard Cheshire Home in Ampthill. 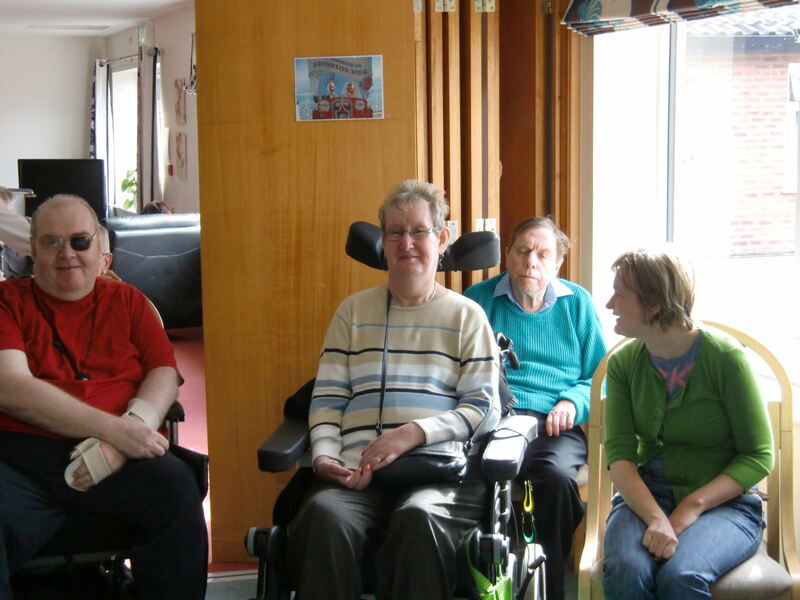 It cares for the most vulnerable and disabled clients, all of whom receive DLA. The Government proposes to reform DLA and replace it with a new Personal Independence Payment. There have been concerns regarding this however; the genuinely sick, disabled and retired have nothing to fear. This Government does not regard caring for those in need as a burden, but as a proud duty. The Government aims to make PIPs fairer, more straightforward to administer and easier and clearer for individuals to understand. 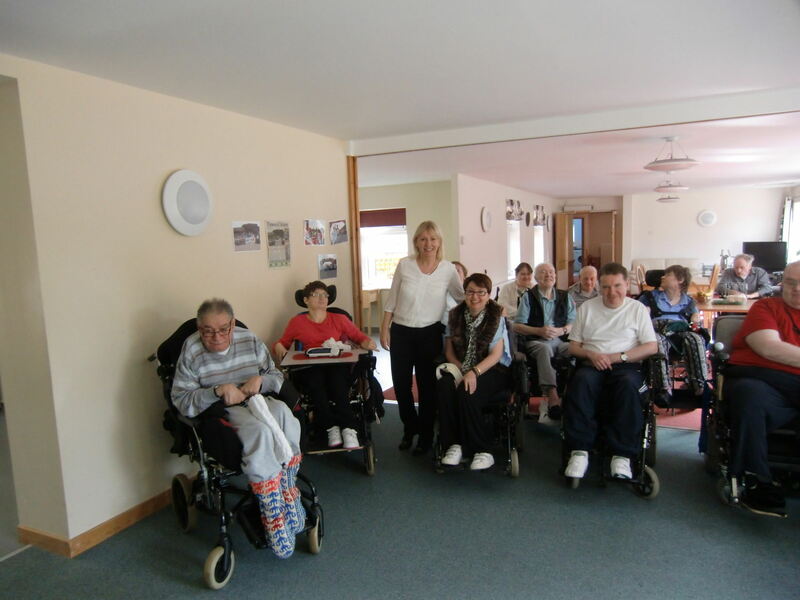 Whenever there is change, people become concerned and the residents of Agate House made this fantastic video which they posted on You Tube called ‘Don’t Take Away Our DLA’. I hope I reassured them today that the Government are very aware that the most vulnerable should not be disadvantaged in any way whatsoever or their standard of living made any worse as a result of changes. What we do have to ensure though, is that those people who claim DLA but can work, do so. The people in Agate House have wonderful stories to tell. A former nurse, now wheelchair bound with MS who used to work in the operating theatre at Great Ormond Street Hospital. A former model who lived a glitzy rock and roll lifestyle that ended overnight. People who have spent their entire life in a wheelchair and who communicate via technology – one lady typed that she looks at the same walls every day. Her DLA is what pays for someone to take her outside of the building, to pay for the transport. She also typed ‘people don’t see me, they just see a wheelchair’. I saw you. And I know you will read this and I hope that somehow we manage the logistics to get you into the public gallery on the day of the debate when I hope to be called to speak and tell your story. Thank you so much for your hospitality. Sorry I got some of you out of bed after a late night at the theatre! Most popular MP at #ldconf? Nadine Dorries getting very regular, very positive references for her PMQs contribution. Nadine Dorries wants a referendum on EU membership very soon, to stop right now sending English £s to support failing European economies, to introduce a Bill of Rights, to scrap the Human Rights Act, to lower overall taxation in order to stimulate growth, to cut harder and faster on public services in order to reduce spending, to bring the upper limit at which abortion takes place down to 20 weeks, to remove Local Authority control over education, to free the NHS from Whitehall and to open up free market provision within the NHS, to dramatically reduce inward immigration, to embrace our special relationship with the USA, to make prison mean hard work and life to mean life, to increase our defence budget and support our troops, and she believes Green taxes are damaging to elderly people who can barely afford to heat their homes. There, *rubs hands together and dusts self down* that should do it. Some time ago, Tim Ireland, who hosts a number of objectionable websites, was questioned for five hours by Bedfordshire Police. Under caution and on tape, he was given a warning as to how his actions could be construed in relation to Section 2 of the Harassment Act. Before and after that interview I had a number of meetings with the Police at which notes were taken. Weeks ago, Tim Ireland applied for and was sent the redacted notes using the FOI act. I assume he will publish them. My lawyer’s details were on the notes and Tim Ireland has begun his usual tirade of repetitively contacting anyone whose name or details he obtains who has even the remotest connection to me. My lawyers will not be responding to his requests. People who follow him on Twitter only see what he writes about me, they are not aware of the phone calls he makes or the emails he sends to third parties. This includes people to whom I may make a general reference on the blog who may not even have a connection to me or be even remotely political, which is both distressing for them and embarrassing for me. He targets others too, Including Iain Dale and Guido amongst many, just with not quite the same ferocity. Which leads me and others to think that maybe his special hatred is reserved for women. I have been sent this from a friend on Twitter. "Tim Farron discussing his Christian faith, says its not why he abstained on Dorries issue - instead cos it was "bonkers" & "aggressive"
Other Lib Dem MPs voted for it. However, it is a really interesting statement and I'm sorry to have to do this to Tim, but he is not being entirely truthful, either to himself or the faith he professes to have. Tim also didn’t vote to reduce the upper abortion limit in 2008, even though he said he would. He was strangely absent when the time for the vote arrived. He didn’t go into the lobby with braver Lib Dem MPs like Sarah Teather and John Pugh. Tim disappeared into the night. “I can’t Nadine, it’s a bit different now that I'm President. I really have to be careful and think of my new position first”. I was slightly puzzled. We do conviction politics a little more seriously over on our side of the House. 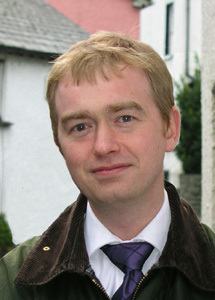 Tim Farron, puts being President/ potential leader of the Lib Dems before his faith. Given his voting record on faith issues, some may assume his comment regarding the amendment is a cynical lie. Others may assume that Tim has been plotting to become the Lib Dem leader for quite some time and that his faith may simply be a vehicle of convenience. Tim is playing to the left. The left are strongly pro-abortion and Tim knows this. Some with a stronger faith than Tim may say he’s been blinded by ambition and sold his soul to the devil. I would describe him as a typical Lib Dem. The Archbishop of Westminster, Vincent Nichols, who is the second most senior Catholic in Britain, has given words of support for the defeated abortion amendment in interview with the Independent. "In the eyes of the Catholic Church abortion is a tragedy," he says in a voice that still bears a hint of his Liverpool upbringing. "Our principle objective must be to try and win greater sympathy for that perspective and for the value of human life from its beginnings. "In that sense independent counselling would appear to be reasonable. But our main principle would be the nature of abortion itself and that it is an act that destroys human life and is difficult to bear, not only for the person who has the abortion." Not great words of support mind, you wouldn’t describe them as gushing. However, it’s the first time any prominent Catholic in England has put his head above the parapet on this issue. This is surprising as Catholics in Liverpool, Glasgow and other major cities are crying out for church leadership to be bolder and braver. Churches and priests used to be described as the ‘pillars’ of communities in an acknowledgment that communities require support, to be propped up. One could argue that the retreat of the church into its white carpeted offices could be one reason why we live in the midst of a broken society and disintegrated communities. I am grateful to the Archbishop of Westminster, with just those few cautious words he has done far more than Rowan Williams or any other church leader. The Archbishop of Westminster is from Liverpool. Liverpool Labour MPs voted against the reduction of the upper limit from 24 weeks to 20. If MPs are answerable to their electors then it’s about time the church got stuck in and reflected on the reason why it exists in the first place and what exactly it is supposed to be doing. In the past few weeks we have witnessed an escalation in terms of the number of backbench Conservative MPs who are voicing their Eurosceptic opinion. Just for the record, I am impressed with the Redwood option. However, I am very definitely one of those calling for a referendum as backbench MP and secretary of the 1922 committee Mark Pritchard has done in today’s Daily Telegraph. We have also witnessed letters to the press from Chris Heaton Harris et al and a meeting of over 120 MPs called last week and led by George Eustice. The fact is however, that the European Union Bill passed through Parliament months ago and the most radically Eurosceptic amendments laid down by Mark Reckless and others were rejected in a whipped vote. How strong and resolute would those who attended the meeting be if the Bill suddenly came back to the house today I wonder? I confess here and now, I was whipped. The danger ahead lies in the variety of opinions and lack of united purpose among MPs. The number of options and scenarios which will demonstrate a Eurosceptic vein running through the soul of each individual MPs provides the Eurphiles with hope. Without one single purpose for MPs to unite around, debates, discussions, meetings, amendments and articles in the press will abound to no avail as the only possible outcome of such a wealth of voiced and written opinion can only be procrastination. A call for a referendum is understood. It is a clear and unambiguous objective. The debate and discussion can then focus on the questions posed. Here the Redwood option can have its day, as can that of the Better Off Out brigade and indeed, the Lib Dems could have their own option of closer intergration and a commitment to continually increase the number of taxpayer's pounds we send abroad to prop up the failing economies of countries where the entire population pops back to bed for the afternoon. The time for all backbench Tory MPs to start pushing for a referendum is now. Not at conference where such meetings will be tolerated, but back in Westminster when Parliament resumes and conference is forgotten. Westminster is the kitchen and we backbenchers will have to turn up the heat to get what we want. You wont read anything as good as this anywhere else today. To be fair to Tim, it reads like a well crafted speech, I didn't actually listen to it.....did anyone though? Reminder; Your abortion is booked at 10am tomorrow. Text reminders for beauty treatments and hairdresser appointments have become a way of life. The fact is, having a manicure or a cut and blow dry isn’t really on the top of my list of personal priorities in my busy life and so I often used to forget; now I don’t. The text reminder the night before from the salon focuses my mind and hardens my resolve to clear the diary for the following day. It would appear that Bpas are getting fed up of women booking to have abortions and then having second thoughts. You cannot equate the procedure of abortion to the self indulgence of a manicure, but Bpas have. Now they will send out text messages to remind women that they are due to have an abortion the following day, as reported in the Telegraph. That is sinister. No consideration or sensitivity for a woman’s feelings and an absolute ignorance with regard to the turmoil some will be in. Just in case you may be wobbling or having second thoughts, a cold clinical reminder of what you are supposed to be doing the following day will pop up on your phone the night before, to nudge your thought process the right way. A subliminal message of a fait acompli, too late to turn back, no ducking out. Between the lines the message reads ‘we are here, over your shoulder, in the background, waiting for you to arrive’. Who benefits from this text reminder? Is it the woman? Is having an abortion something any woman would forget she was supposed to be doing? I think not. Or does it benefit the clinic by guaranteeing that as few women as possible change their mind and keep the appointment and the money coming in? This is the most important question Bpas has to answer, Cui bono. To whose benefit? After months (or is it years?) of full on seven days a week work, I have had a few days off. If you can call taking a daughter to university with all the packing, rows, unpacking and expense as being off. It almost killed me as duvets and pillows, marmite, ketchup and A4 writing pads competed for space in the trolley. Killed me because I couldn’t see over the top and pushed the trolley straight into an open freezer door. Open because someone was removing Aunt Bessie’s and didn’t take too well to being knee capped in reverse. The in store Policeman eyed me up. Not in a good way. Of course, every other mother on the planet looks after their offspring better than I do.... Apparently. My three hour stint in ‘the Asda’ was accompanied by an irritating, perpetual noise in my ear manufactured by the vocal chords of my complaining, too cool for school daughter. She was slightly unhappy that every new item she was taking to uni, from pyjamas to peanut butter carried ’the Asda’ label. Her best friend’s mother has been buying her daughters things for university each and every week throughout the summer and putting them on the spare room bed, one at a time. This is how perfect mothers behave. They do it for two reasons. The first is to throw into relief how truly neglectful, bad working mothers like me are and the second is totally self indulgent. A weekly ritual established in order to keep reminding them how vital they are. I bet they do it at Christmas too. Buy the presents one at a time and lay them out on the immaculate spare room bed with a tick list on the kitchen notice board, as they count down the weeks. How good must that feel? To be that organised and perfect? To have the time to even consider doing that, never mind actually doing it. Oh God, how I hate perfect mothers. Daughter’s best friend shows her appreciation by entering spare room once a week to ooh and ahh over each purchase her perfect mother acquired from John Lewis. Obviously creating a warm self satisfied glow somewhere in the pit of a maternal gut, which encouraged the perfect mother to go out and purchase softer, brand new, squishy towels, fairy lights and brand new bed linen. ‘The Asda’ was right out of towels. It seems that other bad mothers like me had bought them all. Having unpacked and deposited someone, who is after all, a perfect daughter, I drove the four hours home. And here was me thinking I was about to have some peace and quiet. It's easier to post this interview explaining the position re Mid Beds than to type it! I hope that what we all really want is for a referendum, in order for the British people to decide. Whereas our point of view is relevant, it cannot be our decison. I want the British tax payer to be removed of the financial obligation to keep funding the ills of the EU, However, it doesn’t matter what I or any other MP wants. This is a decision for the people. I have just caught up with The Report, on Radio 4 which looks at the abortion amendment and the influence of the Christian right on the coalition. Interesting to listen to the sheer arrogance of Anne Furedi, who thought that health Ministers would tell me to 'just go away'. The over confident voice of a woman who has had it her own way, with little or no accountability for far too long. The Mail on Sunday carries three links to last weeks eventful Wednesday. The Sunday Times also carries some interesting letters. For highlighting the most important part of my speech, which spells out my position very clearly. Is it just me, or does anyone else expect our Chancellor to act in this manner? With the arrival of the 2010 intake, the Conservative backbenches are full of incredibly smart and able young men who would make an excellent job of being Chancellor. Mark field, Michael Fallon, David Ruffley and the new boys, Sajid Javid, Steve Baker and a host of others would be equally as capable as George, if not better. They may also bring some much needed class and statesmanship to the role. I just hope no one else was watching and the shame of having such an immature and tacky Chancellor, is all ours. Many disabled people depend on Disability Living Allowance to provide them with the essential basics in life. Clothes, travel, toothbrushes, deodorant. The Leonard Cheshire Agate House in my constituency has put together this fantastic video which makes the point brilliantly. I look forward to meeting everyone at Agate House on Thursday. Following the debate yesterday, the Minister agreed to all I had asked for, subject to a consultation. Some may ask why then did I go for the vote? It was a tough call. As the Minister wound up offering to introduce the aims and objectives of the amendment via secondary legislation, many members on my side either abstained, or voted against the due to the difficult situation we had been put in by the Liberal Democrats. Some obviously disagreed, but politics yesterday was certainly at its dirtiest and most complex. I would never have thought that the Liberal Democrats would have applied so much pressure to prevent women having greater choice. From now on, a spotlight shines on pre abortion counselling. Marie Stopes has already pledged its commitment to excellent counselling for all women. We lost the vote, but got what we wanted. We lost the battle, but won the war. A moving blog today on Labour List. I just love the pro-life groups. SPUC briefing against me on the airwaves. I must be the only MP alive who is attacked by pro-life and pro-choice- each saying I peddle the others agenda. The Toady programme this morning used Twitter as an opinion source for their abortion piece. Did they use the Tweeters who issue the death threats I wonder? Or Bloggerheads, who was interviewed by the Police for five hours in Guildford and then on tape and under caution, issued with a warning under section 2 of the Harassment Act with regard to his conduct in relation to the Act in respect to myself.Or maybe one of the Tweeters who email the poisonous emails or Tweets opinion based on zero fact. I think that maybe it's time for questions to be asked regarding the BBCs obsession with Twitter. One and a half hours have been allocated for a debate on abortion related issues. It is on Wednesday morning after PMQ's, There is no time limit on speeches. So far, four amendments have been selected for debate and they are all in my name. The Today programme are discussing again tomorrow. I notice that the Guardian keep on and on printing the same old lie which is appaling and time for me to report to the PCC. I am NOT, I repeat NOT forcing anyone to have counselling - it is an offer - nothing more than that. The Guardian coverage of the amendment has been nothing short of manipulative and hysterical. Shame on them. I thought they were above printing absolute lies and beter than that. Telephoned today and asked for information regarding the research supporting the statement I made regarding the Bpas Central London Clinic on the Today programme this morning http://www.bbc.co.uk/iplayer/b006qj9z/console 2,36 mins in. So we gave it to them. There is a huge difference between one to one counselling and a consultation which is about gaining informed consent. There is also an opinion poll published today commissioned by Bpas using tax payers money I assume, which reveals that support for abortion has gone down over the last five years. The poll doesn't even mention counselling so one wonders what was the purpose? More information on that later. The pick of the day is the article by Simon Cauldwell for the Daily Telegraph, which shows that abortion clinics could be deliberately distorting figures. The article by Melanie Phillips in today's Daily Mail is superb and Stewart Jackson MP has an excellent article on ConHome Comment. The Independent reports that Cabinet Minister Dr Liam Fox, will be supporting the amendment. Nice to know someone in the Cabinet has a spine. Dr Evan Harris, also know by most Parliamentarians (even those on his own side!) as Dr Death, due to his zealous interest in things to do with death, ie, assisted suicide and abortion - and he truly is a zealous campaigner on such things, has mis-informed Nick Clegg. The basis of his argument to Nick Clegg when instructing him to instruct the Prime Minister to remove his support, was that there is no evidence of a problem with Bpas or lack of counselling and therefore the status quo should remain. The Bpas Central London Clinic allocates one hour per week for counselling. Not one hour per person, that's one lone hour for everyone. When questioned by a journalist this week with regard to this (more to follow in the press) Bpas commented that anyone who needed counselling and was having an abortion at the Central London Clinic could wait until the following week, or travel to Richmond where they have another clinic. So, imagine this - you find out you are pregnant, you are in a panic, it is a crisis, you have little money or support, you are only sixteen years old and at school, you are vomiting every morning and half of the day, you are scared out of your wits, you don't want to tell your parents yet and don't know what to do, you have never even been inside a hospital without your Mum. You go to the GP and he referes you to Bpas. You tell Bpasyou are usure what to do and would like to talk to someone and you are told to get on your bike and travel to Richmond because the only hour for a clinic with the largest thru put of abortions has been taken ...you don't even know where Richmond is. This is the status Quo that Nick Clegg told David Cameron should remain and that there wasn't a problem. Nick Clegg has decided that it wrong for a GP to offer a pregnant woman independent counselling if she would like to have it. Not compulsory, just an offer. That sixeen year old would bite his hand off. But it would appear that Nick Clegg is against every young woman who needs counselling having the chance of that. I have just finished Sunday Morning Live and will be doing a spot of Kevin Maguire on LBC shortly. That should be fun given the totally impartial, non partisan kind of guy Kevin is. It has been fascinating over the last week to study the various types of reporting and I will be writing more about this later in the week, however, basically, it has been the Guardian and Times against, the Mail and Telegraph for. The Times and Guardian played the woman, not the ball. They used commentators who spent their entire time trying to diminish me personally. I have been described as rumpled, have let myself go, a mess, having a face as creased as my top and so on. And that was from the feminists. The right wing press stuck to the issue. This blog picture was a bit of a shock when I first saw it http://archbishop-cranmer.blogspot.com/ and I want to thank His Grace for all his support. I think I possibly read the first thing Graeme wrote for public consumption on ConservativeHome, some time ago. I remember thinking what a great writer. He had totally captivated me and taken me to the scene of his article. I was sat next to him in the street cafe from where he narrated his scene and ever since, if I see anything written by Graeme, I always read it. So, I was delighted and honoured to read this http://www.telegraph.co.uk/health/8737694/Abortion-reform-listen-to-your-prejudices.html in this mornings Daily Telegraph. It's a special thrill when someone you respect and whose writing you love writes about something you are doing. You can divide journalists into two groups - those who are attempting to make a name for themselves by being nasty and bitchy about others, women and Peter Oborne do this best, and those who have intergrity and are just decent people like Graeme. The Times, carries one of those hideously make it up as we go along articles today. Pay back time for what I wrote about the incredibly toffy nosed, not of the real world Alice Thompson. Journalists just really don't like getting it back do they! I have been profiled by the award winning Alice Thompson in the Times. The same Alice Thompson whose husband wrote in Vogue about how much he enjoyed going with her to buy her dresses from the Chloe and Stella McCartney fashion houses. She gets a few things wrong. I said two babies under the age of six months were available for adoption last year, not two children as she wrote. You would think it wouldn't be too difficult for a journalist who knows her Vera Wang to listen to a tape would you? The first thing she emphasised as she walked through my door was that she didn't use her double barrelled surname name. Did I ask? Did I even know she had a double barrelled name? I have to admit, I was disappointed when I met her. I waited with anticipation for haute couture to waft through my door, instead I greeted emaciated Gap. She writes that I live in Harlington. I don't live in Harlington. I suppose when you leave the family pile in Devon via Notting Hill and head for the suburbs it can be a bit confusing. I don't remember sitting a Mensa test when she interviewed me, but I did fail to recognise some of the grand works of psychoanalytical babble by unknown authors which she quoted at me. And I also couldn't even begin to compete when it came to the number of my friends who were married to famous people. Maybe I didn't look as impressed as I should have? She said my face was as creased as my top. Cruel, but possibly fair. Not a comment I would ever make about another woman. She finishes off by saying that women don't agree with me. Interesting, I didn't spot the poll analysis anywhere in the article and so I am not sure how she knows that. Unless of course she's talking about the women in her very privileged 2% who chat at the prep school gate? Of course, the fact is that if Alice Thompson ever needed counselling she would buy it from Harley St, I'm sure she uses her double barrelled surname then. But the amendment isn't about the likes of Alice. It's about the women who can't pick up the phone and ask a darling friend for the details of her therapist. I'm not sure Alice Thompson had ever been into an 'ordinary' home before mine. I almost caught her looking down he nose as she was led through the kitchen. She was right about a lot of things. Yes, I was in a mess, I had just moved house a few days before. Yes, she is right. I was exhausted, I have worked every day throughout the summer. I haven't had a holiday and I had injured my leg. Alice can say all those things knowing her cleaner is washing her kitchen floor as she writes, her gardener cutting the grass and the nanny feeding her kids. Whilst Alice thinks it's ok from behind veneer of privilege for women to be twice as likely to suffer from mental health problems as a result of the abortion process, I will keep on trying to do something about it. Oh, and Alice, darling, there comes an age where it's just not ok to wear your hair long and in the style of a sixteen year old and you sweetie, passed it some time ago. Ouch! I didn't even like writing that.. I could never be a journalist. Update; Whoops, I wish I had read this first.. Alice Thompson the plagarist.. at least all my work Alice, is my own. The question is, will MPs do in public what they say in private? This article is based on my amendment forcing women to seek counselling. How often do we need to say that the counselling is an offer, its up to the woman if she accepts it? It's a shame the Guardian doesn't mention that the Bpas central London clinic has one hour per week allocated for counselling. It's on a Wednesday at 2pm. Miss it and you have to wait another week. Women deserve better than that.